Mary has been with the Aspen Network of Development Entrepreneurs (ANDE) since August 2012. As the Chapter Coordinator and now Manager, Mary has planned and executed over 50 sector meetings in Kenya, Tanzania, Uganda and Rwanda including networking events, workshops, roundtable meetings and ANDE’s first conference in Africa. Mary has developed an extensive network in East Africa which she continues to leverage to connect ANDE members in the region. Previously she worked with the African Venture Capital Association (AVCA). Mary is passionate about development entrepreneurship and while pursuing her Masters, she authored a research report on the efficacy of tertiary education and business development services in promoting and supporting youth entrepreneurship in Kenya. 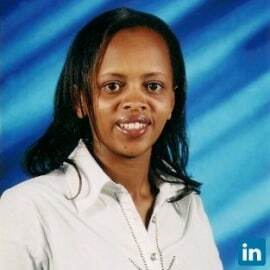 She holds an MBA with a concentration in Entrepreneurship from United States International University, Chandaria Business School and a B.A in Communication and Political Science from the University of Nairobi. She is currently pursuing a Masters degree in Public Policy and Management at Strathmore University.